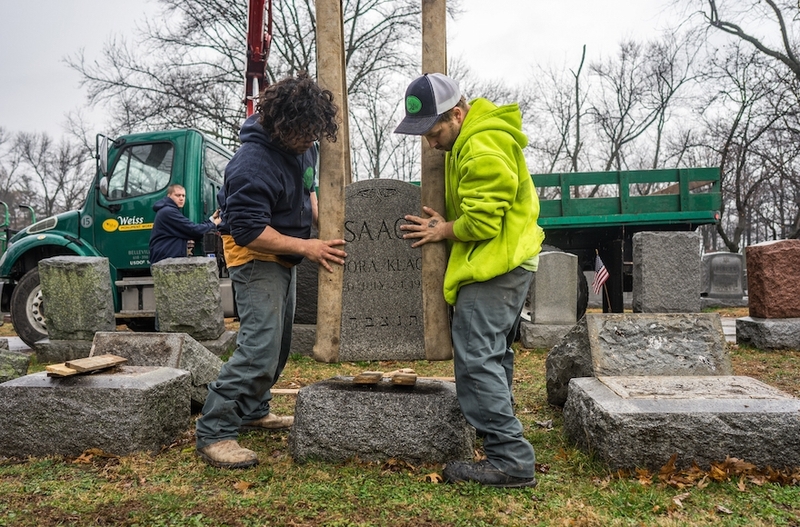 (JTA) — A St. Louis-area Jewish cemetery was rededicated nearly six months after more than 150 headstones were toppled and damaged by vandals. In the wake of the attack, hundreds of community volunteers came to the cemetery to help with the cleanup and repairs, including Vice President Mike Pence and Missouri Gov. Eric Greitens, who is Jewish and had invited Pence.